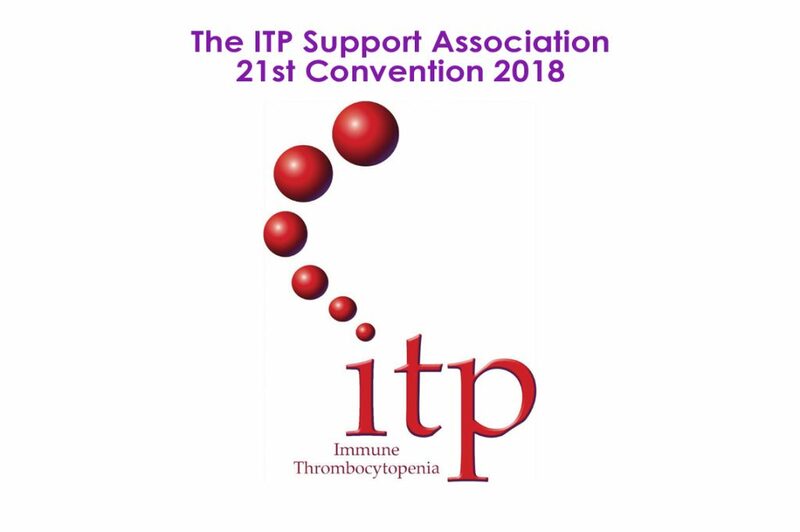 The ITP Support Association held their 21st Annual Conference in the beautiful city of Chester, at the historic racecourse in the North West of England in October 2018. Here’s what they got up to. This year’s UK Patient Convention was held in Chester and was combined with the ITP International Alliance meeting. It was a truly global event with speakers and patient organisations from the UK, USA, Brazil, India, Denmark, Italy, Netherlands, Norway and Sweden. Here are just a few of the many highlights from this fantastic day. Social Media was on the agenda, with a look at how many people we are now reaching on social platforms such as Twitter, Facebook and Instagram. The ITP Support Association Facebook page has over 5,000 followers from across the globe and has become a place for discussions and story sharing. Users add their fundraisers to the page, ask each other questions and most importantly, provide each other with support. It’s incredibly important for patients to have a place where they can voice their thoughts and concerns at any time of day or night. Just chatting with a fellow ITP patient can have a hugely positive effect. The presentation on platelet counting provided insight into how far medicine and science have come. With the arrival of the Coulter machine in the 1970s, laboratories were able to process a vast amount of samples and provide results much quicker – but even now, lab technicians are still working 5 days a week and long into the night to cope with the sheer volume of results needed for patients. The more modern Beckman Coulter machine will be the way forward – but with a hefty price tag, not all labs can obtain one. Haroon Miah presented on the UK Adult ITP Registry, which collects data from patients throughout the country. The aim of the registry is to amass enough data to help doctors better understand ITP, find possible clues to causes, and search for possible genetic links. There is also a sub-study being conducted right now investigating ITP in pregnancy. Paula Bolton-Maggs spoke about the ITP Forum that was established in 2011. The Forum works hard finding ways to improve patient care and further educate healthcare professionals and the public about ITP. The Forum meets twice a year and has proved incredibly successful in bringing specialists together to share and learn from each other. There is now a much better understanding of ITP for both the medical world and the public thanks to the ITP Forum. Other subjects covered during the convention included Cindy Neunert’s talk about Pediatric ITP, with 5 in 100,000 children developing the disease. An exciting development that was highlighted this year is the ITP Pocket Log App (UK Only)– on this app patients can log their symptoms, test results, medication, add notes and appointments and read more about ITP in the fact section. There will be a new version of the app available from next year and ITP Australia has reached out to the developer to see if this app will be available in Australia in the future. ITP Australia is hoping to hold its first ever Australian ITP Conference in 2019 – so keep your eyes peeled for further announcements. If there are any particular areas or topics that you’d like to see included in the first conference, please get in contact with us at info@ITPAustralia.org.au. 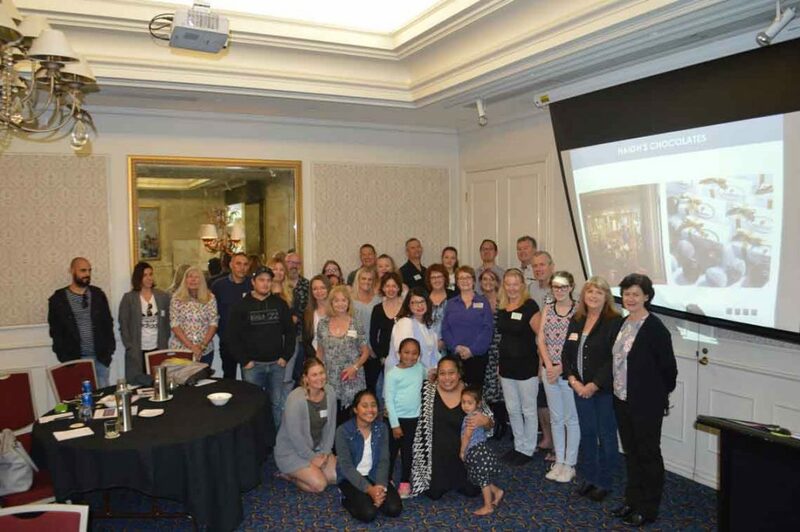 While the PDSA held their first Regional Meeting in Australia in March 2018, they hold a conference annually in the USA bringing together carers and patients and providing new information on ITP through their growing network of medical advisors. 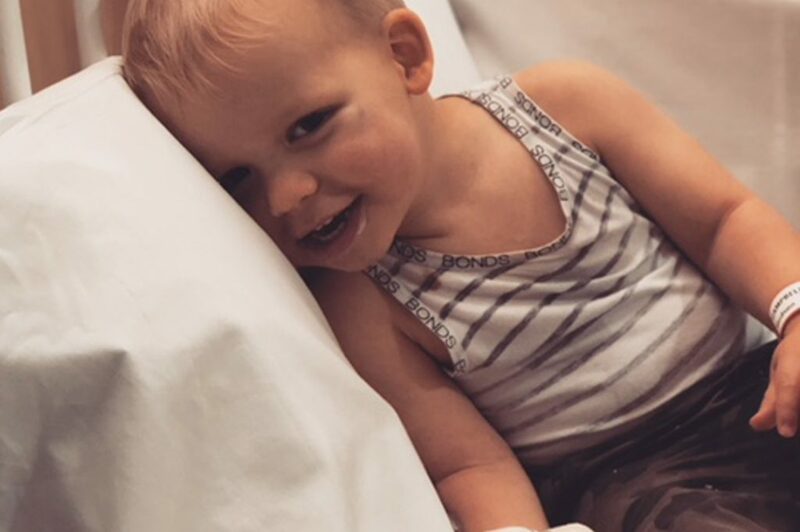 The Platelet Disorder Support Association hosted its annual conference in July in Cleveland Ohio, providing much-needed support, information and assistance from some of the world’s leading ITP experts. This year’s packed program included a welcome hike, small group discussions, teen and women-focused sessions, educational dinners, and panels of exceptional medical advisors presenting on a wide range of ITP topics. There was a deep-rooted feeling of community, support and care throughout the weekend. An important part of the conference involved patients sharing their stories – to not only voice their own personal struggles but to also relate and learn from others facing similar difficulties. Last year’s conference highlighted the need to discuss the emotional side of living with ITP, including depression and anxiety. Stress management specialist Dr Francoise Adan presented this year; discussing tools that can help patients cope better, thereby helping to alleviate the negative mental impact. Unmanaged stress can have such a huge impact on the physical effects of ITP – and she asked the attendees to pinpoint how stress affected them. She spoke of the importance of recognising when stress takes control and what actions to take in these moments – perhaps watching a favourite movie, taking a walk, meeting a friend for coffee or enjoying a relaxing bubble bath. Devoting time and energy to improving one’s mental health is absolutely critical in coping with ITP, so it was wonderful hearing Dr Adan speak on this extremely important topic. Other speakers focused on the latest drug breakthroughs, assistance for caregivers, emotional support and how parents can help their children to live with this chronic disease. The Saturday night party provided a fantastic chance for patients, friends and families to laugh, dance and bring a little fun into their lives. Attendee feedback included an appreciation for the increased understanding of treatment options, as well as a wonderful feeling of camaraderie throughout the weekend. To be surrounded by people who understood and cared was hugely beneficial, whilst many felt that just being there was a great source of comfort and provided huge emotional support. 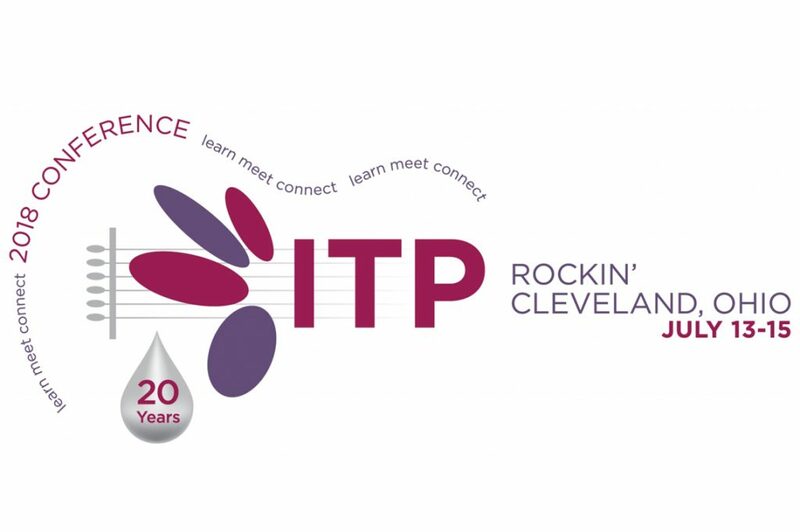 ITP Australia is hoping to hold its first Australian ITP Conference in 2019 – so keep your eyes peeled for further announcements. If there are any particular areas or topics that you’d like to see included in the first conference, please get in contact with us at info@ITPAustralia.org.au. As always we would love to hear from you with any comments – especially if you would like to share your personal story or any ITP-related experiences that you feel may help others. Together, we are stronger. THE PDSA COMES TO MELBOURNE FOR THE FIRST REGIONAL MEETING IN AUSTRALIA. At the end of March 2018, more than 30 people travelled from across the country to attend the first PDSA Regional Meeting in Melbourne, Victoria.